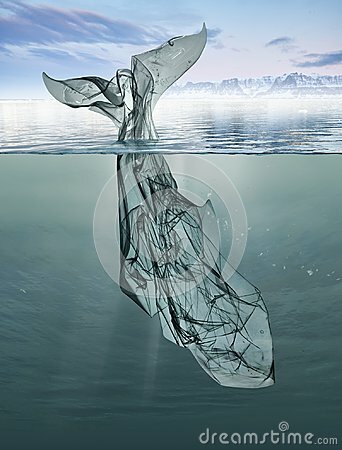 Whale in glass with water and plastic straws. Environmental concept. Vector illustation with isolated white outline icons of sea creatures in the World ocean framed by bottle silhouette.